S.O.F.T. 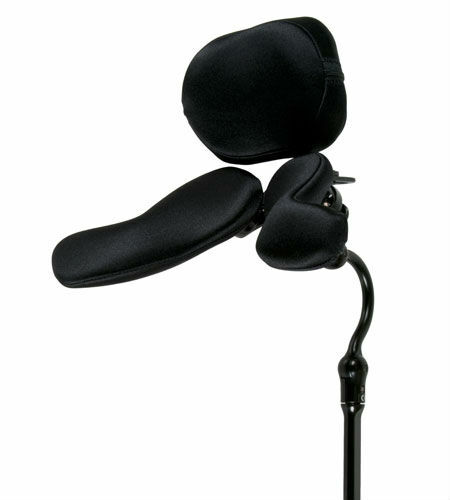 Three Pad Head Supports solve the most challenging head positioning issues. This device combines two width and rotationally adjustable sub-occipital pads with an adjustable occipital pad for independent anterior/posterior movement. The added adjustability of the individual suboccipital pads allows adjustment to asymmetrical postures and deformities. This unique pad configuration supplies maximum occipital and proximal lateral cervical support for more aggressive positioning and comfort. Consistent, repeatable positioning of the client is required for best performance. Attaching lateral facial pads, switches, and/or anterior supports adds to this system’s versatility.